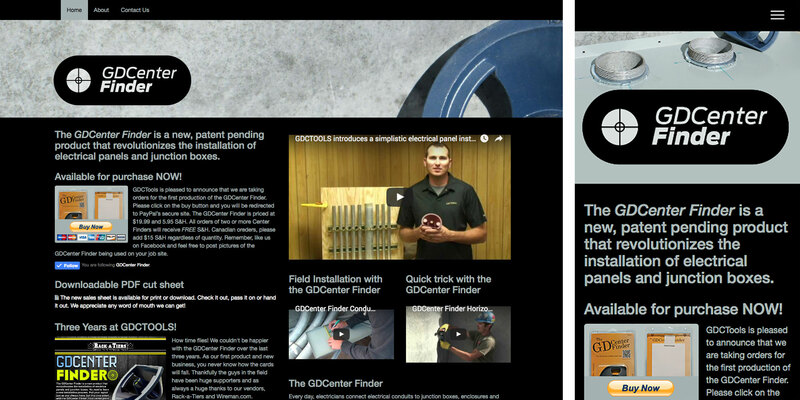 We came across the innovative GDCenter Finder created by Garrett David Collins. A tool that makes electricians’ jobs a whole lot easier when installing electrical panels and junction boxes. We also noticed the official website’s need for a redesign. So, we approached Garrett about giving his website a modern responsive face-lift and he was open to the idea and we delivered.